⏰ Guaranteed 2‑Day now only $5! How to Waterproof your Mascara and Brows! 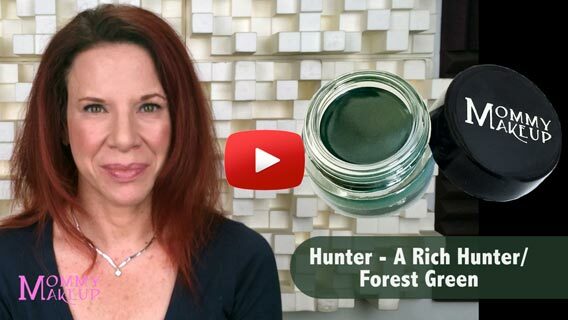 The Everlasting Eye with Any Wear Creme and Stay Put Gel Eyeliner: Videos! ⏰ Do you feel like you don't have time to look Pretty and Polished? Which Lip Product is Best for me? Get the "No Makeup" Look! Lasts all day into the night! Unlike a leading brand's Long-wear Gel Eyeliner, ours does not dry out! Stay Put Waterproof Gel Eyeliner is the BEST Waterproof Eyeliner for Busy Women! For best results, dash on lashline with Pointed Eyeliner Brush (sold separately). Be sure to clean brush with eye makeup remover after use, and close the lid tightly. This liner goes on so smoothly, and stays on all day. Beautiful! I worked in cosmetics for over 22 years, and this has tnicest consistency of any eyeliner I've ever tried, it goes on so smoothly and the colors are gorgeous. It also last all day! I truly cannot get over how pretty these colors are! I’ve been using the Gel Eyeliner for a few years now and I love it! It goes on easily and stays all day! My only (minor) complaint is that sometimes it dries out a little in the pot, but I just pop in the microwave for a few seconds and it’s good as new! Initially like anything else, there is a curve. I continued and continued applying the gel and finally, I got it down to perfection. If I can do it, you can too. Just keep practicing. The colors are classic and very dramatic on the eye. Will make an impression. I love this product. This was my second purchase. It is so easy to apply and work with and as an eyelinerits perfect and so natural. Truly does stay on! Easy application too. Love it! I am not an eyeliner person at all. But the ease of being able to apply this particular product as well as the smoothness and the simplicity was amazing. It lasted all night long. Finally an eyeliner I can smoothly get on my eyes! Just received my second color - Amethyst. I have been using Steel Magnolia for about 4 months. I love the variety of softer colors. I am a pretty light blonde with very fair complexion - sometimes black eyeliner is just too much. Need help selecting your shades? Send us your SELFIEand get a FREE $10 Gift Card! Press, Media, Celebs and More! © 2019 Mommy Makeup® | Powered by Shopify.